Mom was pretty happy with this. The Japanese daikon (大根) came in little chunks and were a little crunchy. The texture was relatively firm. These little bits of Chinese preserved sausage on top, of course, were ones which were custom made according to Fan Cook's recipe. 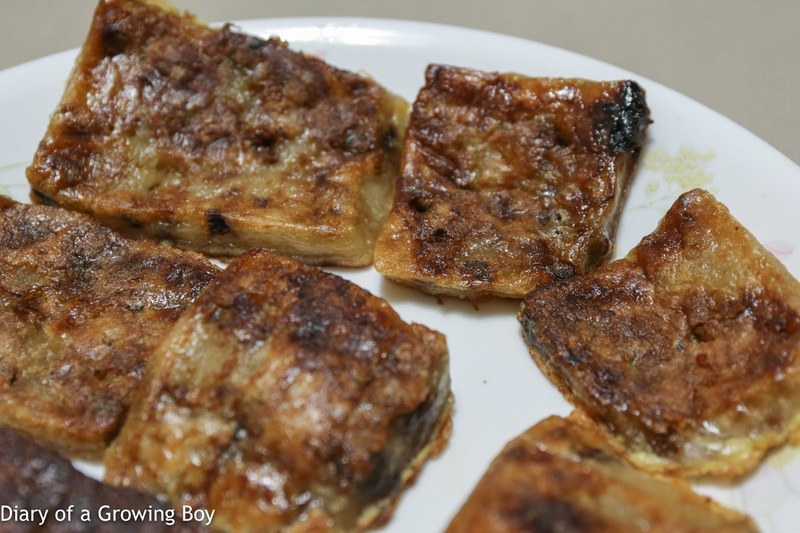 Fook Lam Moon premium new year radish cake (福臨門 臘味蘿蔔糕) - standard issue for us. I pretty much get this every year. 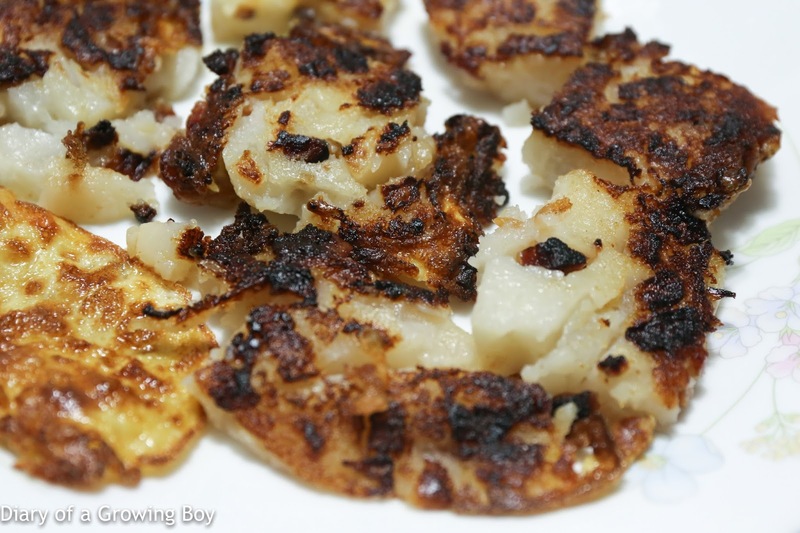 This was a lot more soft and moist, so the pieces kinda fell apart when mom was pan-frying them. The radish inside came in strips, and the pudding delivered a little more of the radish flavors. 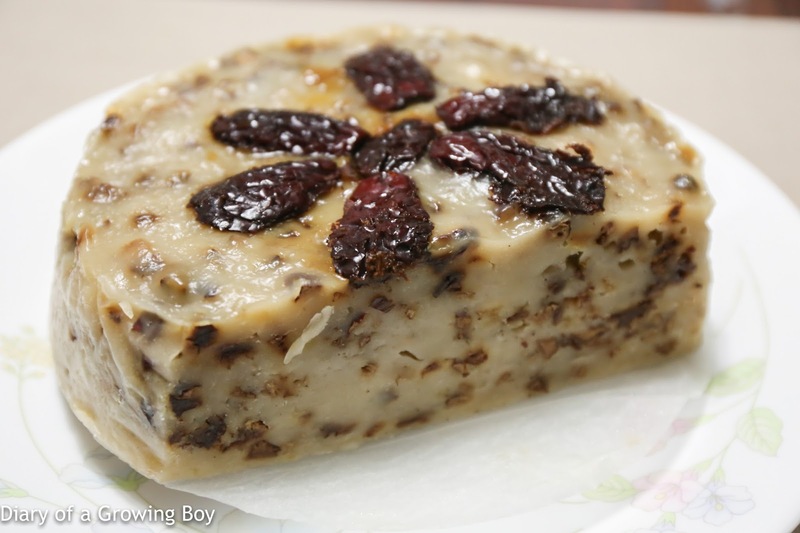 Guo Fu Lou jujube cake (國福樓 紅棗糕) - I wanted mom to try some of this, since this only came to market 2 years ago. 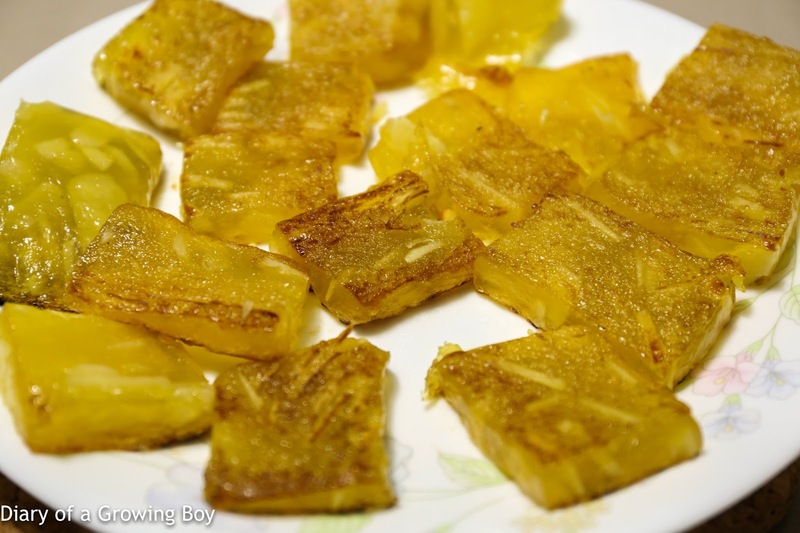 Mom didn't care for the texture, as it was not as soft and chewy - and she was right about there being no glutinous rice powder being used. 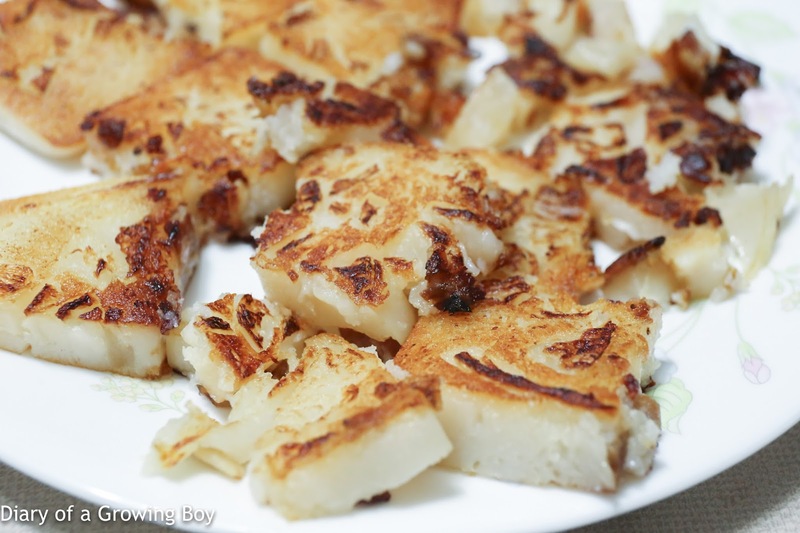 The tapioca powder made the texture more springy and bouncy. She also thought that the jujube flavors were too mild. 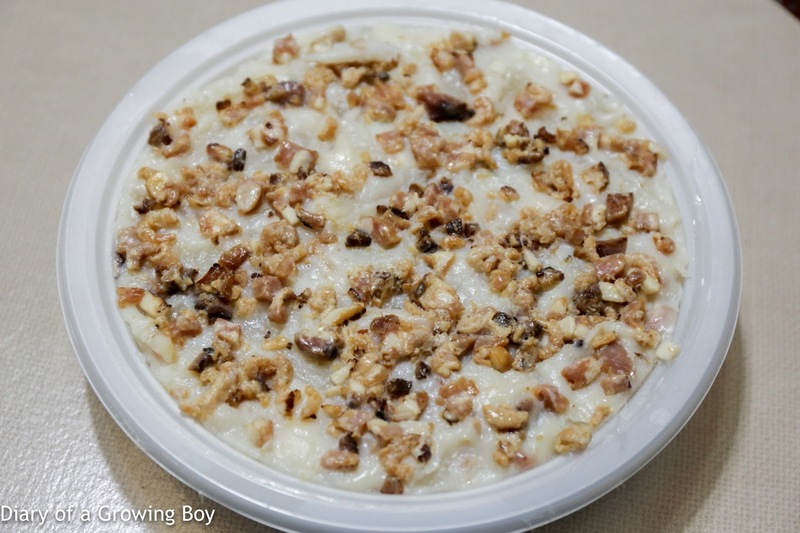 One of mom's friends gave her a homemade jujube pudding (紅棗糕), where it was easy to see both the large chunks of jujube on top as well as plenty of ground jujube inside the pudding. This was the clear winner, thanks to both the chewy texture as well as the stronger flavors of the jujube. 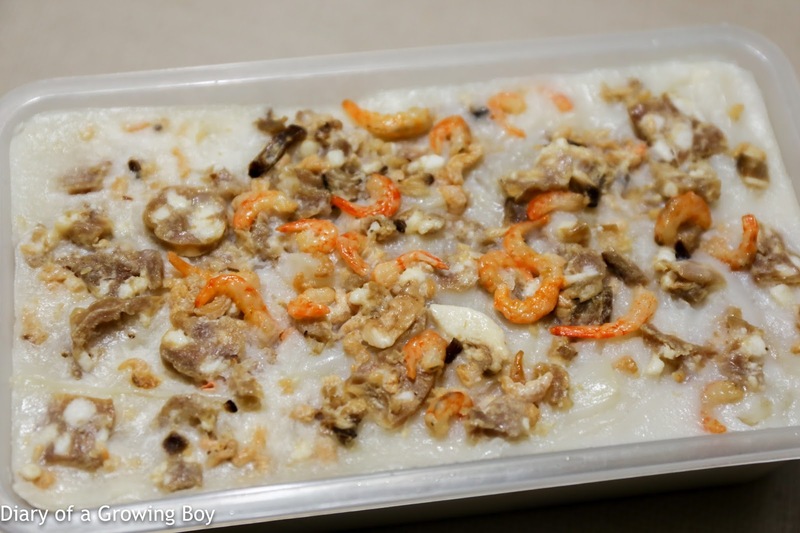 Fook Lam Moon premium new year water chestnut cake (福臨門 桂林馬蹄糕) - this is de rigueur for us. 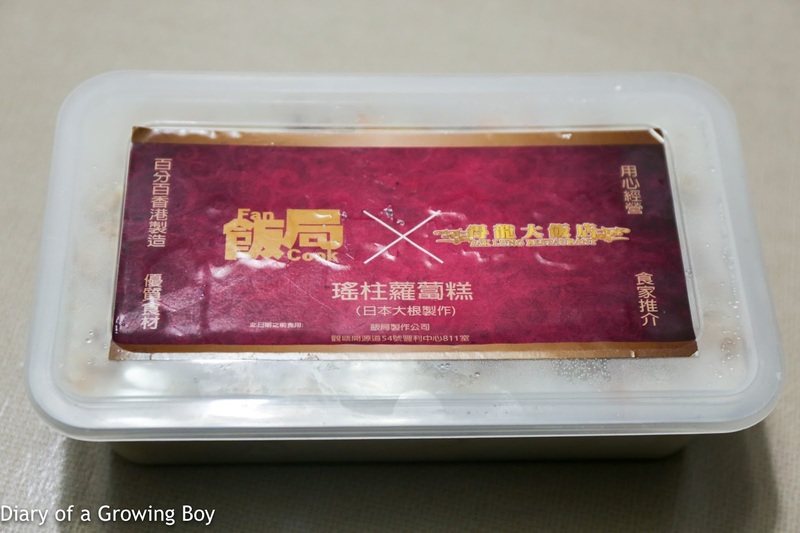 This is mom's favorite water chestnut pudding so I buy it for her every year. This year, though, the recipe seemed to be slightly off. While the flavors of the water chestnuts were still there, the cooks seem to have forgotten to add enough sugar. While we all want to watch our health and not consume too much sugar, you need a certain minimum to make these sweet puddings tasty. This certainly didn't make the grade.